Dr. Sara M Alderman, MD is a Doctor primarily located in Grove City, OH. She has 17 years of experience. Her specialties include Obstetrics and Gynecology. She speaks English. Dr. Alderman has received 2 awards. The overall average patient rating of Dr. Sara M Alderman is Great. Dr. Sara M Alderman has been rated by 24 patients. From those 24 patients 11 of those left a comment along with their rating. The overall rating for Dr. Sara M Alderman is 3.5 of 5.0 stars. I was the first appointment of the day with no one else waiting in the waiting room. She did review any of my health questionnaire with me or engage in any conversation outside of the instructions on getting my PAP despite being a new patient. I had to ask to be treated for BV before leaving. She did treat without sending a test as she said it would take too long and the test was expensive and gave me a refill. That is the only reason she does not have one star. Went to this office a couple times, once for a new patient yearly exam, and once for birth control removal. During the first appointment I noticed it is definitely a low budget office, and their laid back attitude comes off more as u professional. After my second appointed I decided I need to find a new OBGYN. She entered the room trying to talk bad about her previous patient and wanted me to join in since I passed them in the hallway and she assumed I had heard them talking. When she left my room after my appointment she didn't say "good bye" or any sort of closing words, she just told me she would fax my perscription and walked out and left the door open. I waited a minute then walked out and asked if I was done, she didn't even look up from her screen she just said "yup". She talked down to me at my appointment like I don't know my own body. The whole appointment made me uncomfortable. And on top of that the nurse asked me questions and talked to me the whole time while taking my BP, and when I didn't respond she asked more random questions. On top of all of that the front desk ladies are rude and had an attitude both times. First let me say that I have used this particular facility as far back as 1986 when Dr. Holly Barrows was the primary physician. 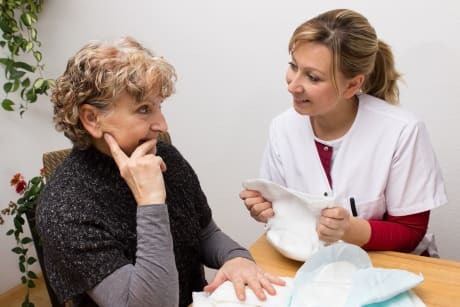 While this review is about Dr. Alderman, it is necessary to say that transitioning from one amazing doctor to a new doctor can cause some concern. At first I was very pleased with the overall professionalism that Dr. Alderman portrayed. It seems that over the recent years, she isn't as sincere and is always rushing the appointment. I recently had a procedure done due to some pelvic pain on my left side. The doctor did not perform the procedure and the person who did perform it was not "allowed" to give me any comments on the procedure. This was very frustrating as you can imagine. Several days later I called to get results only to be told that the doctor didn't see anything wrong and that she wasn't too concerned about it. What was I suppose to do about the pain I was having? I was told to contact my family physician. Really?? I am so over it... I am seriously considering another doctor for my female concerns. Please think twice...sadly, this facility is not what it used to be. Wonderful experiences x3! Dr. Alderman delivered all 3 of my daughters with upstanding care. My first daughter was an emergency induction due to preeclampsia, Dr. Alderman noticed around 35 weeks that my blood pressure was spiking and kept a close eye on me over the weekend and the following week and on my 37 week appointment she decided my BP was too high to let it go any further and sent me to the hospital where she met me 12 hrs later and my perfect 6.5 lb baby girl was born in perfect health. She kept a close eye on my 2nd and 3rd pregnancies which both also showed signs of preeclampsia. She put me on bed rest at 28 weeks with my 2nd daughter because I was showing too many signs of possible issues and she wanted to get me to at least 35 weeks. With her help and twice a week stress-tests and weekly ultrasounds I went into natural labor and delivered a 8 lb baby. Then with my youngest daughter I was again closely watched and again treated for non-stress tests and size determination ultrasounds and delivered another 8 lb baby at 39.3 weeks. I will say, however, that my labors IN the hospital weren't great. With my 3rd daughter I was in labor for 22 hours. Dr. Alderman was awesome though, she was headed out for a family vacation the next morning but stayed an hour past her shift to deliver my 3rd daughter because it meant a lot to her since she had delivered my first two as well. I love her and although I am dong having children I will always see Dr. Alderman! Well before I ever got pregnant I had an ultrasound and Dr. Alderman misdiagnosed me with a bicornuate uterus. Well I did end up pregnant and because of the misdiagnosis (which was a septum I just recently had surgery to remove) I ended up having altogether 5 miscarriages. I specifically asked her before I ever got pregnant if I'd have any issues and told I would only have to worry about pre term labor. But unfortunately she was wrong and it's hard to think that all this heartache could have been avoided. But also when I went in for an appt immediately After my first miscarriage. I went to the front desk who by phone had initially advised they received my paper work from the hospital regarding the miscarriage. However when I went to check in for my appt I was treated awful and was told that it was a maternity appt and that someone else really could have used that appointment since its for an hour. I held in my tears until insat back down. And I completely lost it. I was treated so horribly , I had already gone through enough with the loss of my baby. I went back for my appt and the dr seemed to ignore the fact I lost my baby and had no empathy whatsoever. After that experience I decided it was time for another dr. They are not compassionate in anyway shape or form from the front desk back to the dr, please don't waste your time. 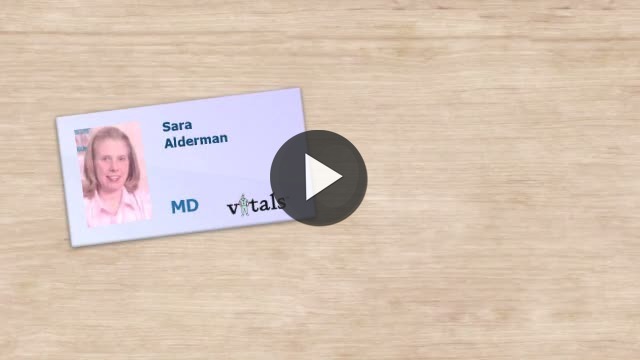 Take a minute to learn about Dr. Sara M Alderman, MD - Obstetrics and Gynecology in Grove City, OH, in this video. Dr. Sara M Alderman is similar to the following 4 Doctors near Grove City, OH. Have you had a recent visit with Dr. Sara M Alderman? Select a star to let us know how it was.